Intelligent Mining is about broader organizational transformation, and not just a ‘digital mine'. Mining companies need to adapt and incorporate new technological advancements in their operations to improve efficiency, make better decisions and create a safer working environment. CJ describes how the Digital Nerve Centre works: "All operational information is collected from the various technologies into their respective management systems and passed through to the Digital Nerve Centre for actioning or to alert management of any deviations and potential safety incidents. The Nerve Centre is the control room, where several people monitor all aspects of the operation on screens that are fed information form the various technologies. 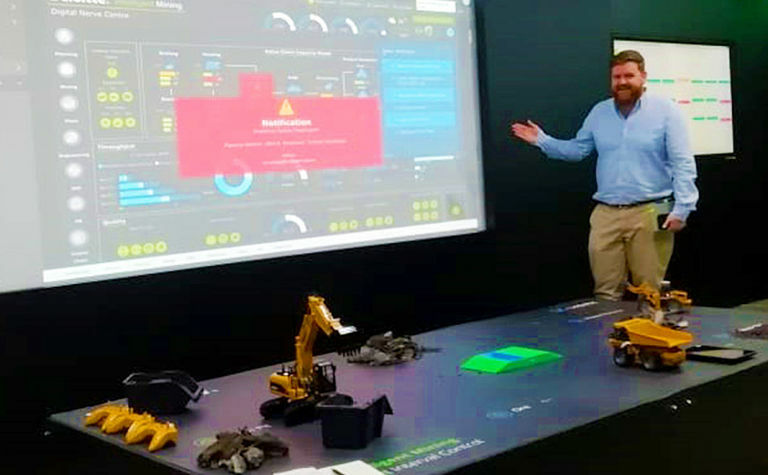 The Nerve Centre also includes engines for machine learning, and what if analysis to allow management teams to get a better understanding of the issues and risks they face." Recently Deloitte showcased their innovative technology to give customers the opportunity to experience it first-hand. Intelligent Mining will affect the way decisions are made, the skills that are needed, how to engage with the workforce and communities, and how to optimally use resources. They describe the transformation program as a must-have. "An effective digital transformation program should be self-funding and not a make-or-break proposition. Finding and prioritizing opportunities should be consistent with the key theme of speed and agility. Deloitte's pre-configured use cases and Digital Value Office (DVO) can incubate the transformation journey by enabling rapid value realization through collaboration, transparency and the right partnerships." 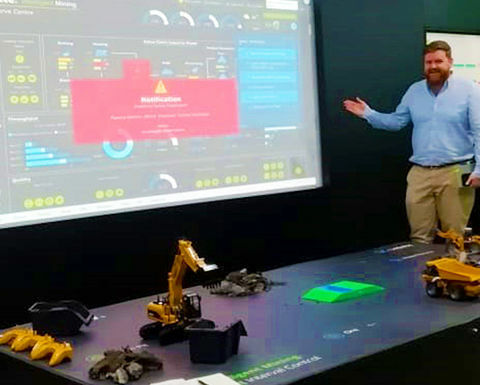 "IsoMetrix forms part of the Intelligent Mining eco-system as a safety management system for recording, monitoring and actioning safety related items," explains CJ. "The IsoMetrix system tracks employee performance and observations. This data is fed into the Digital Nerve Centre for monitoring and AI interpretation. For example, where employees behave outside their safety parameters the IsoMetrix system sends this data to the Nerve Centre where AI is initiated to determine the reasoning behind the employee's unsafe behavior. Once the cause is determined, corrective measures such as training are put in place. All IsoMetrix Solutions from EHS to Social and Environmental Sustainability can be seamlessly integrated with the Nerve Center and used to within an integrated risk management framework to manage critical controls and move towards zero harm." Deloitte also implemented the IsoMetrix Bowtie Risk Analysis module. This is a simple, cause-and-effect analysis that helps to visualize the multidimensional characteristics of a risk event. The bowtie demonstrates the relationships between causes of unwanted events, the escalation of these events, the controls that prevent the event from occurring, and the measures in place to limit the impact of the event, should it occur. IsoMetrix is one of the world's leading developers of software solutions for EHS management. We believe that proper management of Governance, Risk and Compliance provides powerful and wide-reaching benefits. It is good for our planet, and the people and communities we work and live with. It also leads to more profitable and resilient businesses. We enable businesses to run sustainably. In helping our customers to do good, we also help them do well. With offices in the USA, Canada, Australia and South Africa, IsoMetrix is well positioned to provide international companies with support across the globe. IsoMetrix is a world leading developer of integrated risk and compliance management software solutions.